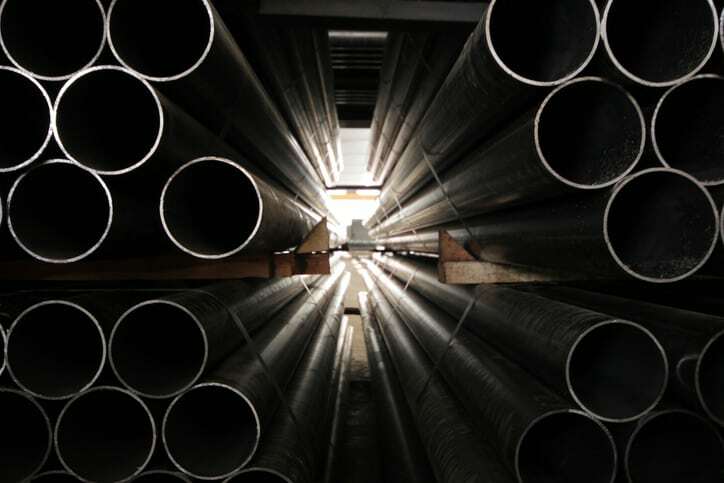 Steel is not stainless, so stainless steel earns its corrosion-resistant properties through the interaction between its alloying elements and the environment. The exact composition of the metal material can vary, but, by definition, stainless steel contains at least ten percent chromium. Additional assurance that stainless steel will not corrode throughout its anticipated lifespan is given through preparatory processes for the metal, specifically cleaning, descaling, and passivation. Standardized guidelines and specifications for these three services is provided in ASTM A380/A380M-17: Standard Practice for Cleaning, Descaling, and Passivation of Stainless Steel Parts, Equipment, and Systems. The processes addressed in ASTM A380/A380M-17 exist to remove surface contaminants from new stainless steel parts, equipment, and systems that may impair normal corrosion resistance, result in later contamination of a particular stainless steel grade, or cause product contamination. Cleaning accomplishes this by removing oils, waxes, and greases through a variety of methods, including solvent cleaning, vapor degreasing, ultrasonic cleaning, and others. In addition to removing contaminants that could detriment the corrosion resistance of the metal, cleaning also helps to achieve a desired appearance. ASTM A380/A380M-17 also details precleaning, the process by which these contaminants are removed prior to fabrication or final cleaning. Descaling involves the removal of heavy, tightly adherent oxide films resulting from hot-forming, heat-treatment, welding, and other high-temperature operations. However, since mill products typically are supplied in descaled condition, this process often is not necessary during equipment fabrication or erection of systems. When it is necessary, it can be performed through one or more methods. For example, chemical descaling, which is also known as pickling, makes use of aqueous solutions of sulfuric acid, or nitric and hydrofluoric acid, molten alkali or salt baths, and various proprietary formulations to remove oxide films. The term passivation is commonly applied to several distinct operations or processes associated with stainless steel. For the purposes of ASTM A380/A380M-17, passivation is the removal of exogenous iron or iron compounds from the surface of a stainless steel by means of a chemical dissolution, most typically by a treatment with an acid solution that will remove the surface contamination but will not significantly affect the stainless steel itself. Please note that while the two are similar, passivation does not encompass the distinct process of descaling. However, descaling may be necessary for passivation to be effective. Acid pickling may also provide sufficient passivation, depending on its specific application. ASTM A380/A380M-17 details these three services in detail, thoroughly addressing their acceptable methods for new stainless steel parts, equipment, and systems. The standard does not cover decontamination or cleaning of equipment or systems that have been in service or descaling and cleaning of materials at the mill. This document revises and replaces the 2013 edition of the same international standard, and it has undergone several changes. Surfaces to be descaled are now to be precleaned. Section on total immersion of pickling solution. Section on acid cleaning was revised. Section of water wetting and drying tests for free iron was revised. Added duplex grades to tables. Added low-pressure initial rinse option and reduced scrubbing for degreasing before acid treatment and acid pickling. Changed time spans to minimums in the table for acid cleaning of stainless steel. ASTM A380/A380M-17: Standard Practice for Cleaning, Descaling, and Passivation of Stainless Steel Parts, Equipment, and Systems is available on the ANSI Webstore.